Welcome Everyone, This is challenge #14 for Craft Hoarders Anonymous Challenge Blog. This challenge is called "All The Pretty Flowers"! This challenge is for all you flower hoarders! Maybe you hoard pre-made flowers, maybe you hoard flower punches or dies. 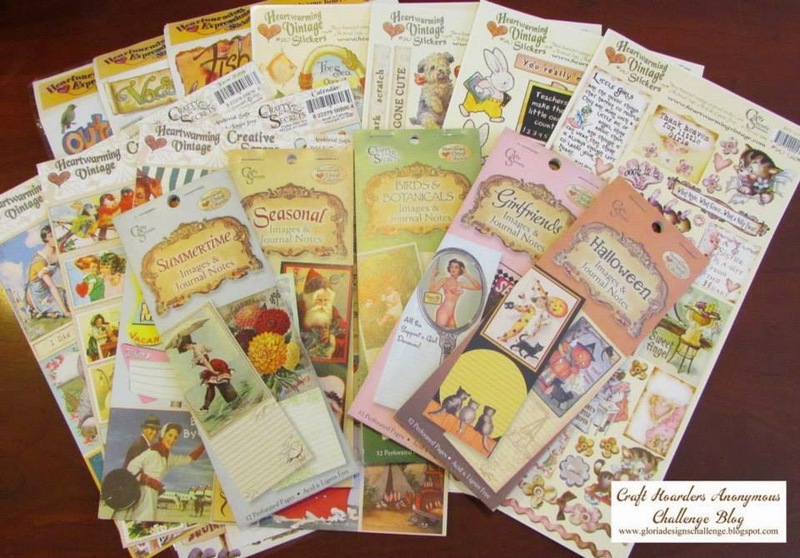 Maybe you hoard flower stamps. "Dig" out those flowers and use them on your project for this challenge. Challenge Rules are here: http://gloriadesignschallenge.blogspot.com/p/about.html. Make sure to link your project using the linky tool on the Craft Hoarders Anonymous Challenge Blog. Also don't forget to visit your Design Team and check out what they have done to share! Here's the links to the Design Team...enjoy! That cluster of flowers and embellies is breathtaking! Just beautiful, my friend! Karen, this is such a lovely layout . .the colors are so subtle that it almost hides all of the incredible layers and detail that are incorporated into this beauty! Love all of the flowers and that twine bow is perfect!! Lovely work!! This piece is just beautiful. I love those wonderful flowers and all the layers! The photo is adorable and I think you have captured the moment perfectly! I am drooling over all of those layers! I just want to be able to sit and touch this! Your work always makes me want to dig out my stuff and get to work! You inspire me every day! This is gorgeous. I love how you use the black to make everything just pop. I enlarged the pic so I could see all your yummy layers. You created a one of a kind layout. Well done! 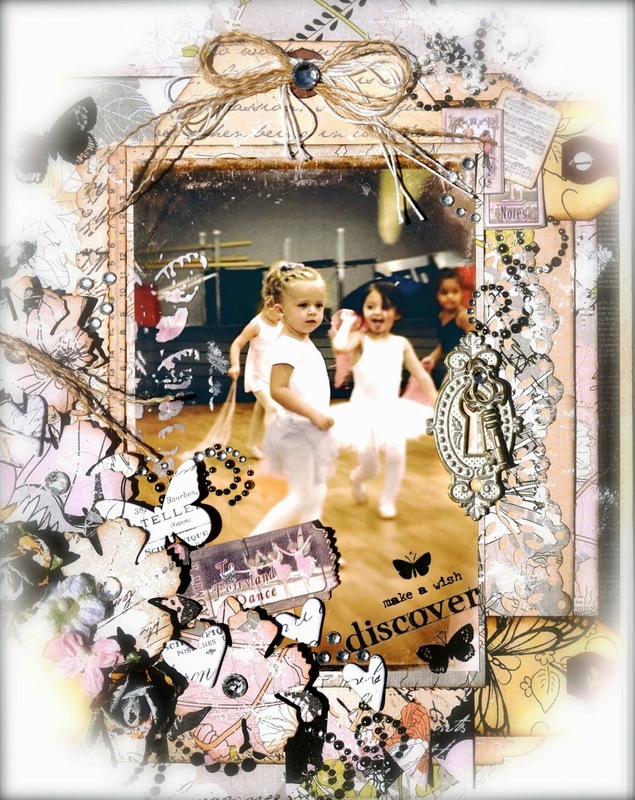 Beautiful scrapbook page! Your flowers are so pretty and are a perfect frame around your photo. Gorgeous layout! Love all the flowers and layers! Pure beauty! thanks for the inspiration! Your layout inspires me to get back to scrapbooking! This is a gorgeous layout for a very sweet photo!